Dr. Mok was professional, highly knowledgeable, gentle, and kind. I will absolutely continue to see him in the future. Very knowledgeable and professional. Explained everything clearly, and a nice guy. Staff are awesome, helped me choosefirst ever pair of glasses with both kindness, understanding, and professionalism. I would recommend Doctor Mok without hesitation. Very knowledgeable and professional. Explained everything clearly, and a nice guy. Staff are awesome, helped me choose first ever pair of glasses with both kindness, understanding,and professionalism. I would recommend Doctor Mok without hesitation. Dr. Allen Mok, O.D. has been providing quality eye care for his patients for over 10 years. He is proud and excited to bring his brand of eye care with an emphasis on patient education and customer service to his patients in Denver. 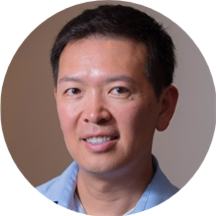 Dr. Mok has spent much of his experience working in a multidisciplinary setting where he was able to share and communicate patient needs with primary care physicians, internists, audiologists, podiatrists, ophthalmologists and neurologists. It is working in this setting that he learned the importance of adequately communicating what needs a patient specifically has and treating them with the utmost respect and sensitivity. It is always nice to learn how to live by the Golden Rule and use it in your practice; this is also how Dr. Mok has been able to be a top provider for Cigna Medical Group of AZ over the past 10 yrs. It is important for his patients to know that they are an active participant in the care of their own eyes and health; it is a two-way road. That is why Dr. Mok is always happy to give his patients a clear and educational understanding of how their eyes function and what treatment or product options are best for their condition. Dr. Mok is confident you will receive the best care possible for your eyes when you visit his practice. Dr. Mok attended Willamette University in Salem, Oregon where he received a Bachelor of Science in Environmental Science in 1996. He then graduated from The New England College of Optometry in 2001 with a Doctorate in Optometry. In his free time you will find Dr. Mok training for a 5k, a 10k or a half marathon. He also likes to find time to volunteer for no-kill animal shelters and do some business and social networking. Recently, he has re-discovered the joy of biking and skiing. very thorough examination and explanations for everything. The front office lady was super nice and helped me pick glasses that looked good on me. Also, I was seen relatively quickly and everything went smoothly. They did have a dog in the office, so if you're allergic to dogsor scared this may not be the doc for you. My experience was awesome! The doctor spent time explaining everything to me and is very nice. Everyone in the office is nice and super helpful too. Definitely recommend! Dr, Mok is extremely helpful and thorough when explaining any answers to your concerns. I was given the wrong perscrition and it really affected my eyes. The cost of the frames and lenses were very excspensive. The doctor was nice and the office was clean. If you are allergic to dogs don't come here. I love Dr Mok. He is informative and personable. He brings his dog to work too!!! The office staff is incredible! They have been there for years. WhenThe last Doc retired they stayed on with Dr. Mok. I have major anxiety when it comes to visiting eye doctors. Dr. Mok is the only doctor in over 20 years to educate me about what is actually going on with my vision. I appreciate the time he takes to explainwhat he does and why. He definitely eases my anxiety. He and the staff were very friendly and patient with us. The best optometrist I’ve ever been to! Dr. Mehok is very knowledgeable and up front with regard to potential health issues as well as comprehensive in all the medicinal approaches (and lifestyle changes) that can help alleviate those issuesnow and down the road. He (and his team) do all this without any upselling or fear tactics I’ve experienced elsewhere. Dr. Mehok clearly prioritizes his patient’s health above anything else. I also had the opportunity to interact with both women in the front office who were so friendly and professional with everyone who walked in the door. They had no issues processing my insurance and were able to clearly explain my out of pocket costs. I also got to meet DJ, the cutest corgi that has ever lived. Everything was great! Dr. Allen Mok was very friendly and knowledgeable. The front desk staff were very charismatic and nice. Definitely recommend! The visit was great both my husband and I went in on the same day. My husband was having vision related headaches and Dr. Mok was able to find a diagnosis. We also agree that we’ve never had such thorough eyeexams. Overall we are highly satisfied with our visit. Just a standard exam for getting my contacts ordered. Doctor Mok was friendly, answered all my questions and helped me understand my eye issues. Dr. Mok and team were fantastic! Very educational visit as I have not had an eye appointment in quite some time. They were able to answer all my questions and even assist finding me a pair of glasses I look forward to picking in the near future! Very knowledgeable and great doctor. Explains everything so you understand. Great staff too. Dr. Mok listend to my concerns and gave me great solutions. I only worked with one of the office staff but she was professional and enjoyable to work with. There is also a dog named AJ walking around. AJ is wonderful. Very knowledgeable and takes the time to explain exactly what is being done and what it all means. This was the first time I had ever been to an eye doctor and I was impressed. Dr. Mok is exceptional - and really seemed to hone in on my concerns (and solve them). The office was a little short-staffed for my appointment, but worked through it professionally/quickly. Worth traveling a bit for vs the other options I had. Very knowledgeable in his area of expertise. Has good eye care tips and transparent with sharing information about eye health in general. This staff is very nice and selection of eyewear is diverse. Very good, very friendly, very professional, and recommended upgrading my contacts to a more recent version, which I did not know existed, much better! Gave me advice on my dry eyes that was never talked to me about before. He is very up to date on new findings to help with your eye health and is very nice and informative overall! This was my first time seeing Dr. Mok. I thought he was very thorough, professional, and friendly. He was able to give me many recommendation for dealing with dry eyes (in contacts) and about eye health in general. The women atthe front desk were friendly and I was seen within 10-15 minutes of arriving for my appointment. I have been a long time patient at this office before Dr Mok took over and really like the changes I've seen. The office is cleaned up and modernized which was a long time coming. I was distracted by Michelle's grandkidsin the office and did not like it as I was trying to concentrate on the exam. Something needs to be done about that in my opinion. The entire staff was friendly, and the exam was thorough! Dr. Mok was knowledgeable and answered my many questions. He was thorough in the exam and explained everything to me. Overall it was a great experience in a laid back atmosphere. The other staff there were excellent too!! Dr. Mok was very proffessional. All the staff were very polite and helpful. Dr. Mok was the most thorough and knowledgeable doctor that I have seen. Great experience from the whole staff. They were very helpful and understood my needs when it came to picking out a frame. Dr. Mok was very thorough and very easy to work with. He was very thorough and kind. It was my first eye doctor appointment and I was very impressed. The receptionists work with you and are also very helpful in all respects. Dr. Mok is very down to earth and personable (which is rare for medical professionals). His office staff was highly knowledgeable and helpful too. Before this I had always gone to Lens Crafters and was never impressed with their service. Dr.Mok's office has a family vibe to it. I felt like they actually cared about me. This top notch doctor and his stellar office staff are my new optometrist of choice. Dr. Mok's patient care is outstanding. The office staff is friendly and helpful. Great with my daughter and kept us in the room together. Dr. Mok was excellent! There was virtually no wait time at all, and he was very personable, explained everything to me, and gave appropriate recommendations. Will definitely see him again for my next exam! Dr. Mok and staff are amazing. Always on time and always takes the extra time for my "hard to fit" contacts. The service level here is truly rare, I highly recommend. He was very informative and friendly. Dr. Mok is very professional, his exam was thorough and he explained everything to me . I highly recommend him and I plan on keeping him as my eye Dr..